In this one-time, session we’ll go through your pantry, cabinets, refrigerator or as much of your food storage as time allows. This is a chance to have guidance while you part ways with the junk and make space for more nutrient-dense replacements. I have suggestions for anything! Feel free to have a list of questions ready for me about food labels, ingredients, or anything related to your shopping habits. We can talk meal-prep if you’d like to as well. Whatever is most important to YOU in ways to improve your kitchen and the food you keep is where we’ll start. If you don’t know where to start, I’ll be happy to take over. All you need is video chat access. I can call you via my online coaching portal, we can use Facetime or Skype — whatever you’re most comfortable with. You’ll end the session with a game plan for the next steps you can take for further improvement and I’ll be sending you a summary email after our chat. I’ll also include any additional resources that might be useful based on the things we discussed. If junk food is haunting your cabinets and you can’t seem to stop the madness, this might be a perfect starting point for you! Family members are welcome to join in at your discretion. It’s your time and we’ll make the most of it. 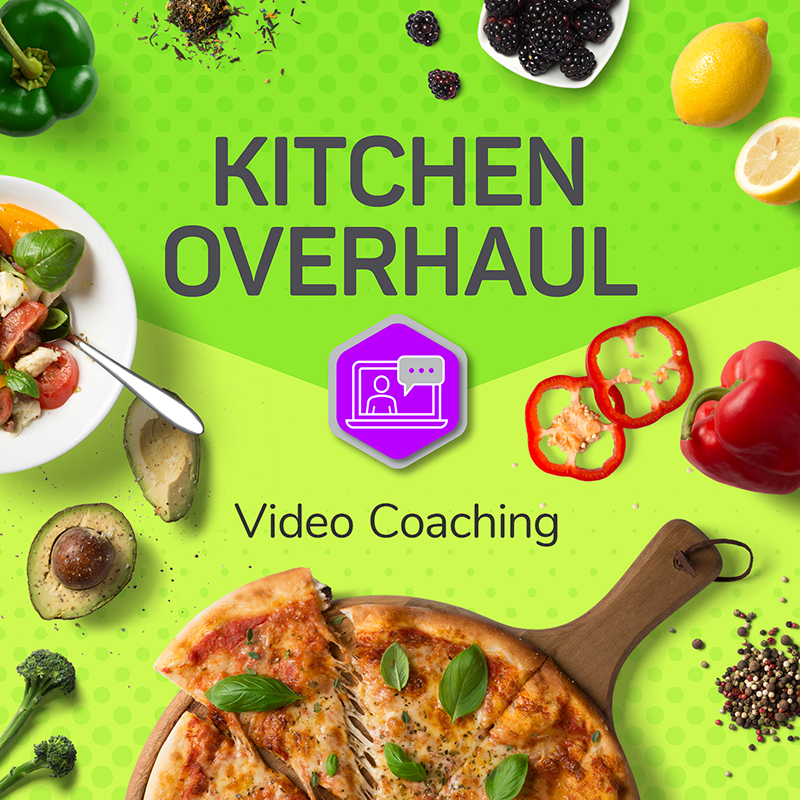 This consultation can be used to discuss, troubleshoot, or strategize anything to do with your nutritional habits, mindset or how to find room in your busy life to get healthy in realistic ways. • …or anything else that might be on your mind relating to the world of wellness. This does not include any follow-up emails, resources or consulting sessions.